Hi Neighbor Parade. Photo courtesy of Stephany Sherlock. Main Street may not have a large festival today, but it has nearly a century-long history of celebrations. In the 1930s, more than 55,000 people would line Alhambra’s Main Street to catch a glimpse of children dressed up like their favorite characters. 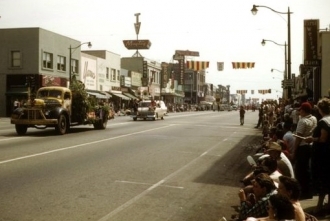 The Story Book Parade made its debut in 1937 and was sponsored annually by Alhambra’s Chamber of Commerce. 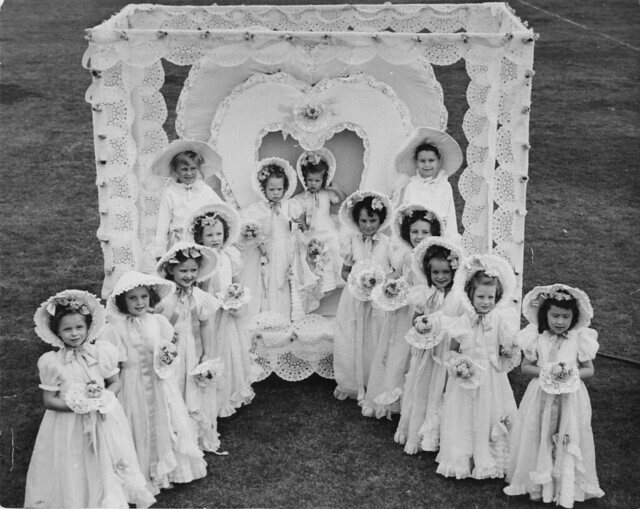 Children from throughout Southern California were the stars and, with help from their teachers and parents, they built floats, rode decorated bicycles and dressed up as well-known nursery rhyme characters. Unfortunately, the start of World War II in 1941 marked the end of this popular celebration. Story Book Parade. Photo courtesy of Alhambra Chamber of Commerce. Hi Neighbor Parade Queens. Photo courtesy of Gayle Minni Griffith. both residents and local merchants to get to know one’s neighbors, this parade featured marching bands, vintage cars, business-sponsored floats and a beauty queen. The 1951 Hi Neighbor Queen, Jean Shores, went on to become Miss California. 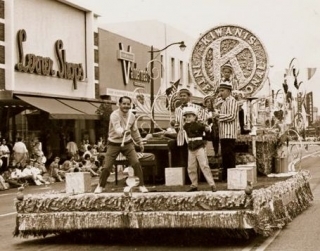 Like the Story Book Parade, the Hi Neighbor Parade became a popular fixture in Southern California – so popular that the Los Angeles-based television channel KTLA chose to broadcast the parade for a number of years in the 1950s and 60s. 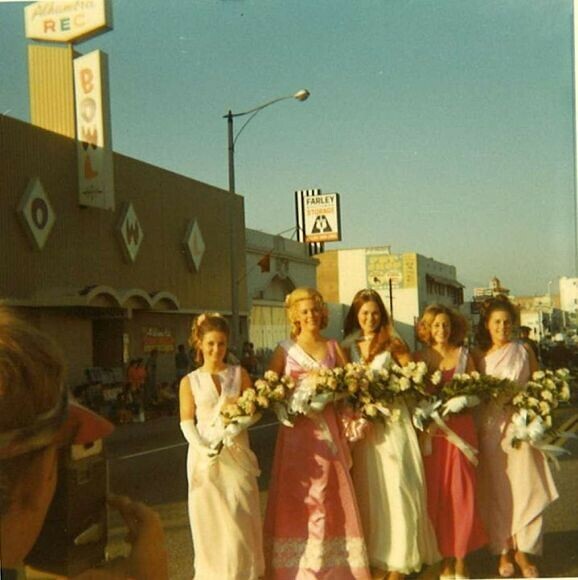 The Hi Neighbor Parade lasted for more than 30 years, ultimately ending in the mid-1970s. During Alhambra’s centennial celebration in 2003, the Hi Neighbor Parade returned for a single encore performance. More than 100 entries marched, floated or drove down Main Street reintroducing the Hi Neighbor spirit to many Alhambrans for the first time. Launched in 1990, the Lunar New Year Parade and Celebration was started to provide the community with a glimpse of the Asian customs prevalent among many current Alhambra residents. This winter parade, held annually in late January or early February, winds its way down Valley Blvd. and features dragon dancers, marching bands, the Tournament of Roses queen and her court and local news celebrities. Today, the parade and accompanying festival is the premier Lunar New Year event in the San Gabriel Valley. This story was produced in conjunction with the Alhambra Preservation Group. Thank you to members of the “I grew up in Alhambra” Facebook page and the Alhambra Chamber of Commerce for contributing photos.